Training is every Wednesday from 7pm. 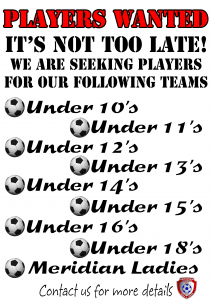 Under 18’s and Ladies train from 8pm. This venue will also be home for ALL of our home games.